Most of Team Spartan that competed at the Central States Karate Tournament. 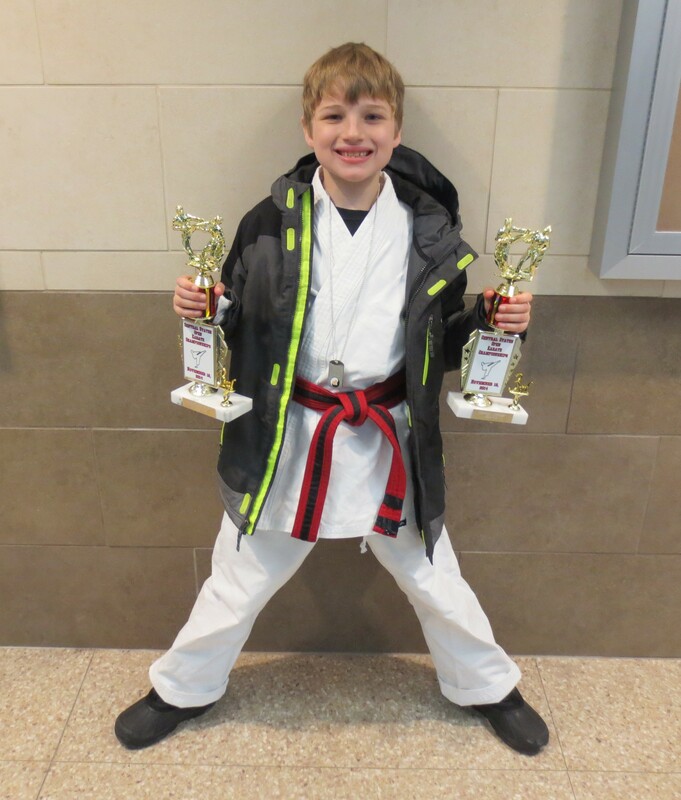 In November, Michael competed in the the Central States Karate Championships. 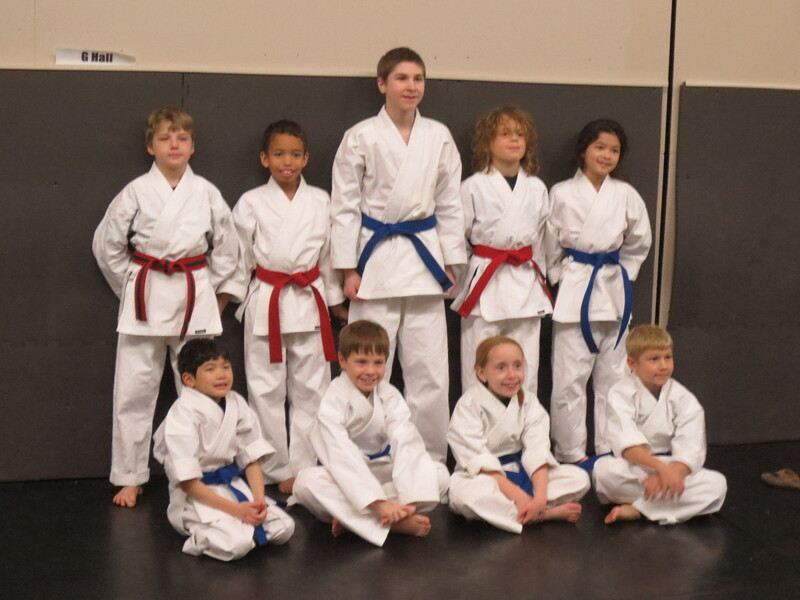 He competed at the 8-9 year old red/brown belt boy level in both form and sparring. The tournament was held at Fridley High School. It was a great location. It has a “sunken” style gym, which was great for this fairly large tournament. Instead of everyone having to cram around a certain ring, spectators could stand on the upper level and not only have a great view of their competitor’s ring, but could watch what was happening in several rings. Several competitors from Team Spartan were competing in adjoining rings, so we got to cheer for many at the same time. Michael did really well. He seems to often get his name drawn to be first in form. I still can’t decide if this is an advantage or disadvantage…. He just rolls with it. It’s been interesting watching him at each tournament. His first tournament, he went super fast. Another one, he didn’t yell enough. I can’t wait until he remembers to slow it down, sharpen his moves a bit, and get his power yells in (which will force him to breathe). He will be hard to beat when he does! He’s got incredible technique and flexibility. When he kicks above his head, I’m amazed, every time! 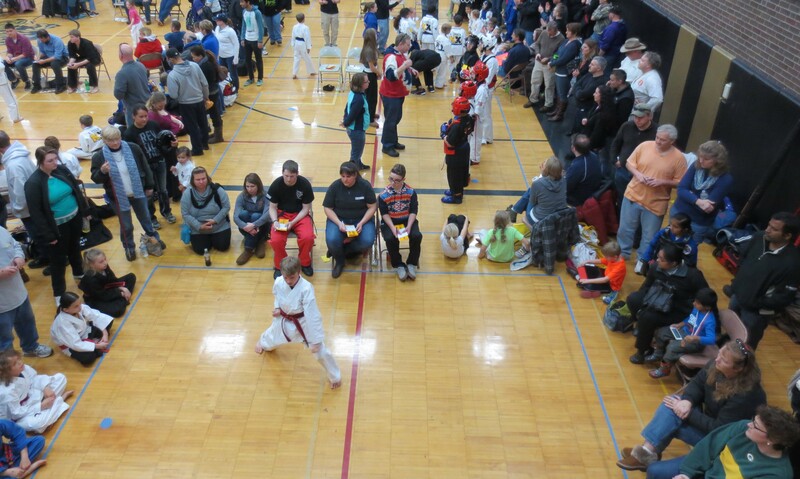 He had some tough competition, and took 3rd in both sparring and form.